Arduino Leonardo is a new Arduino board with a 16 MHz Atmega32U4, 2.5KB RAM, 32 KB of Flash memory, 20 digital I/O, 12 analog inputs and 7 PWM outputs. In this version the MCU takes care of USB communication with the host, whereas for Arduino Uno, a separate chip is required to take care of this, which makes Arduino Leonardo cheaper than Uno. Watch the video to get an introduction to this new Arduino board, and see how it can emulate a mouse and keyboard. The Arduino team sees potential to create game controllers, and use it for automatic input such a filling an excel spreadsheet automatically with Analog input data for example. The company provides the schematics (PDF) and “reference design” files (EAGLE schematics + PCB layout), as well as instructions and code sample in Arduino Leonardo Guide. 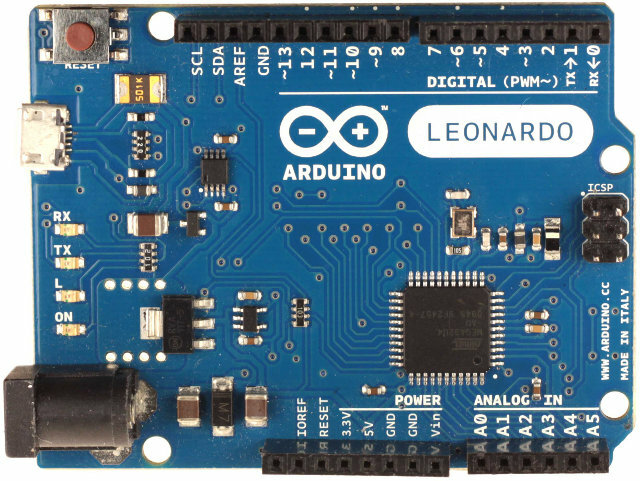 Arduino Leonardo is available now for 16 Euros + VAT without header and 18 Euros + VAT with headers. You can visit Arduino Leonardo page for more details about this board.